in the every day. 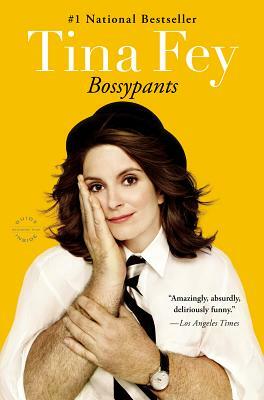 She is eloquent about what it means to be "the boss,"
most introspective, entertaining, and inspiring books of the decade. Tina Fey is one of the leading ladies of comedy, and rightly so. Her memoir depicts a woman who appreciates seeing the humor and the absurd in the every day. She is eloquent about what it means to be "the boss," and why it does not involve marching around saying "I am the boss! I am the boss!" the way she thought it might when she was 10. Pieces of her childhood, along with her adult life mix together into one of the most introspective, entertaining, and inspiring books of the decade. Thank goodness Fey reads the audio herself. Now I want to listen to it all over again. Tina Fey lives in Denver with her ferret, Jacoby.